Former President Bill Clinton at the second meeting of the Clinton Global Initiative Action Network on Post-Disaster Recovery. Photo: Evan Garcia/UM News. 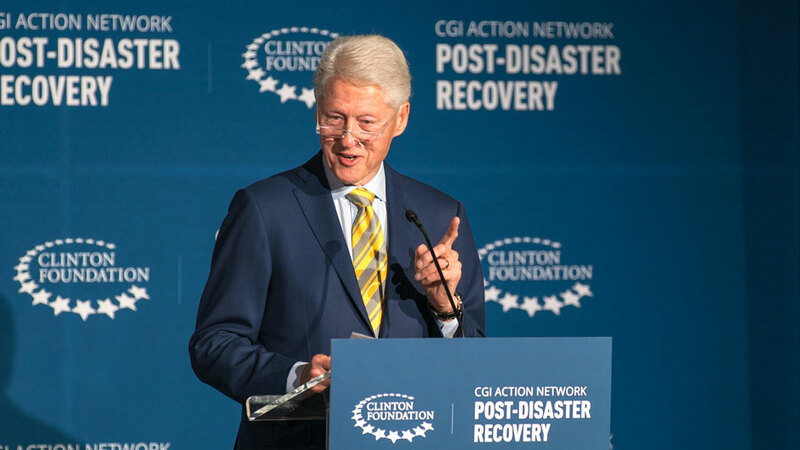 Bill Clinton convenes the second summit of his CGI Action Network on Post-Disaster Recovery at UM. Hurricane Maria not only crippled Puerto Rico’s critical infrastructure; the powerful storm also laid bare and worsened many of the problems, including widespread youth unemployment and a lack of affordable and renewable energy, that plagued the island long before disaster struck. But thanks to humanitarian relief efforts that have included everything from using drones to deliver medications to hiring local labor in the rebuilding process, Puerto Rico is experiencing a recovery and rebuilding phase that addresses both the aftermath of Maria and the island’s longstanding social ills, former President Bill Clinton said Tuesday on the University of Miami’s Coral Gables campus, where he convened the second meeting of his Clinton Global Initiative (CGI) Action Network on Post-Disaster Recovery. 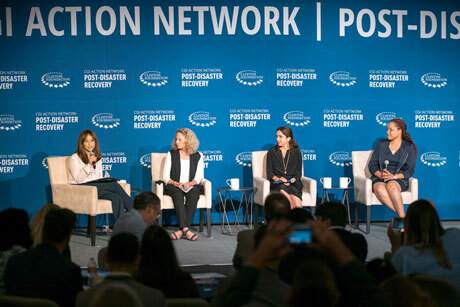 The network, which Clinton launched last April at UM, unites business, government, and civil society leaders to make so-called Commitments to Action that help communities in Puerto Rico, the U.S. Virgin Islands, Dominica, and Antigua and Barbuda recover from last year’s devastating hurricanes. Tuesday’s summit, which included a series of plenary sessions and panels, one of them narrated by actress and activist Rosie Perez, whose parents are from Puerto Rico, focused on issues such as disaster preparedness, agricultural production, mental health, energy efficiency, and workforce development. Actress and activist Rosie Perez, left, moderated a panel on recovery and long-term resiliency in the Caribbean that included Dee Baecher-Brown, president of the Community Foundation of the Virgin Islands; Marta Michelle Colón, chief attitude strategist for Buena Gente; and Nikima Royer Jno Baptiste, CEO of Digicel Dominica. Speaking inside the Donna E. Shalala Student Center’s third-floor grand ballroom, he hailed his initiative as an effective model for dealing with earthquakes, hurricanes, pandemics, and other disasters, but warned that such catastrophes take years from which to fully recover. Clinton also commended UM for its role in hosting the meeting. 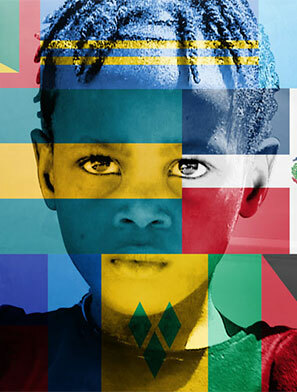 “It’s important that the University of Miami is doing this and that so many educational institutions in the Miami-Dade area are present because this is fundamentally a Caribbean state,” he said. UM, said Elizabeth Greig, a staff physician in the Miller School of Medicine’s Department of Medicine who is part of the Global Institute for Community Health and Development, possesses much of the expertise that could help the islands recover. “The islands of the Caribbean represent a unique challenge by their geographic isolation and their susceptibility to natural disasters,” said Greig, who attended Tuesday’s CGI Action Network meeting and is quite familiar with disaster relief. As a fourth-year Miller School student, she coordinated patient transfers and care at Project Medishare’s 240-bed hospital in Haiti after the 2010 earthquake. And what UM does is help those in need, said Judy Schaechter, professor and chair of the Department of Pediatrics, who also attended the meeting and led a team of six physicians to Puerto Rico two weeks after Hurricane Maria hit. When she and her team arrived on the island, they went immediately to some of the hardest-hit communities, administering healthcare and giving out supplies like infant formulas, diapers, and even generators. During his opening remarks, Clinton announced the latest CGI Action Network Commitments to Action. Among them: an initiative by Expedia Group, Construction for Change, and Sextant Foundation to install solar energy systems at six schools in Dominica; a commitment by NetHope, Cisco, Facebook, Microsoft, and others to improve technology and communications infrastructure across the Caribbean; and a commitment by SteadiCam Associates and Trieste Associates Inc. to create a documentary series that will simultaneously work as an outreach and education program to inform local communities about critical innovations in agriculture, energy, infrastructure, and other areas that will help promote recovery and long-term resiliency. 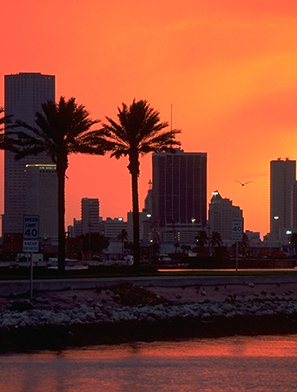 Being prepared before a storm hits is critical, said Matthew Shpiner, UM’s director of emergency management, who spearheads the institution’s efforts to prepare for, respond to, and recover from large-scale disasters and emergencies. Last year he led University preparation and response to Hurricane Irma. 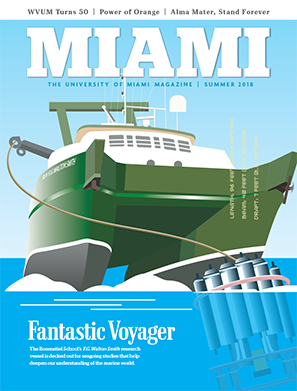 UM has its own set of detailed plans for dealing with hurricanes and emergencies. Shpiner encourages faculty, staff, and students to make preparations now. “How we prepare will ultimately define our resilience,” he said. Read more on how to prepare for hurricanes and other emergencies at www.prepare.miami.edu.